Hot Licks in Fairbanks, Alaska has been a local favorite since 1986. Not far from the University of Alaska, this shop offers flavors that incorporate fresh fruit and locally brewed beer. Named after the owners’ young daughter, Sweet Lucie’s Ice Cream Truck became the first purveyors of USDA certified organic ice cream. The truck can be found around Los Angeles, and their flavors are available by the pint at Whole Foods markets across Southern California. Located in a hipster neighborhood in Denver, Sweet Action Ice Cream has intriguing flavors like Red Velvet, Dragonfruit, and Buttered Popcorn, as well as options for vegans. Crafted from ingredients on the Button family’s farm, Buttonwood Farms Ice Cream is all made from scratch. Here you can find favorite flavors—and some new, unique ones—while taking in the farm’s scenic views and family-friendly activities. Serving the official ice cream of the University of Delaware, UDairy Creamery lets students participate in every aspect of creating and distributing their cow-to-cone ice cream. Located just south of Fort Lauderdale, Jaxson’s Ice Cream Parlor has been serving more than 40 flavors of ice cream since 1956. Leopold’s Ice Cream originally opened in Savannah, Georgia in 1919, and today is still run by one of the Leopold family members. Each batch of ice cream is made in-house with no artificial ingredients or dyes, and with the same recipes used in 1919. If you’re looking for a cold treat in Hawaii other than shaved ice, visit Il Gelato Hawaii in Honolulu. You’ll find a variety of gelato flavors made from scratch featuring only local ingredients and a mix of Hawaiian and Asian flavors. Named after the owner’s own beloved pet, Black Dog Gelato in Chicago features flavors like Blueberry French Toast, Mexican Hot Chocolate, and Goat Cheese Cashew Caramel. Just 20 minutes outside of Indianapolis you’ll find the Traders Point Creamery located on a family-owned dairy farm. The homemade, organic ice cream is made with the milk of grass-fed cows, comes in a variety of flavors, and is served in sustainable glass jars. Founded by a pastry chef and chocolatier, Glacé Artisan Ice Cream has more than 25 flavors of ice cream made with natural flavorings and hormone-free milk. Visitors can try flavors ranging from Lemon Curd to Salted Pretzel to Goat Cheese & Wildflower Honey. A favorite among the locals, The Comfy Cow in Louisville serves popular ice cream flavors, focuses on great customer service, and gives back to its community. At The Creole Creamery in New Orleans, you can find unique flavors like White Chocolate Bread Pudding and Lavender Honey. If you’re daring enough, try the Tchoupitoulas Challenge, a sundae with eight scoops of ice cream and eight toppings. Located in West Boxford, Benson’s Home Made Ice Cream serves its treats off the front porch. Eighty years later, Benson’s is still serving ice cream during the summer months with flavors like Fresh Native Strawberry, Coffee, and Ginger. 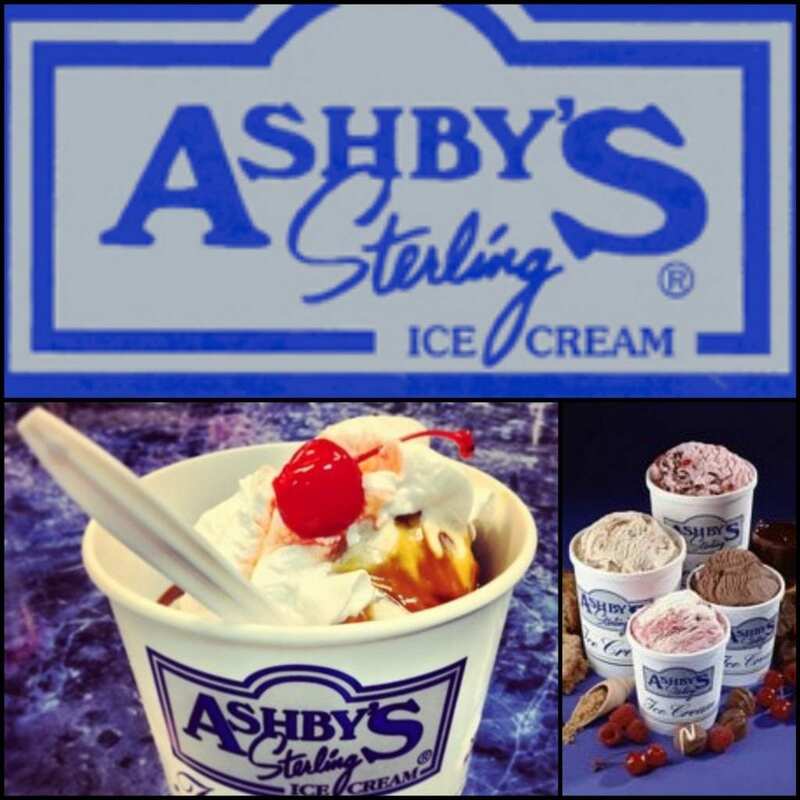 Ashby’s Sterling Ice Cream was created when four brothers realized there was a large gap between regular supermarket ice cream and expensive, premium ice cream shops. Today, the brand has more than 60 flavors crafted from a recipe the brothers enjoyed when they were kids. Named after the original owner’s beloved dog, Sparky’s Homemade Ice Cream offers flavors made in-house daily. Visitors can also enjoy the unique and funky wall of art at this ice cream shop. Big Dipper Ice Cream has been making a name for itself in and around Montana since 1995 because of its standout flavors. You’ll find options like Cayenne Caramel, Black Licorice, Maple Walnut, Coconut, and Cardamom. What originally began as a simple ice cream truck is slowly turning into a national chain. Big Gay Ice Cream is still known for its New York roots, as well as its flavors and toppings that are revolutionizing soft serve ice cream. Everything at Big Buck’s Homemade Ice Cream is made in-house from scratch, including the cones and ice cream itself, as wells as other treats, like chocolates and fudge. Before opening Jeni’s Splendid Ice Creams in Columbus, Jeni Britton Bauer worked in a bakery and blended perfumes as a hobby. Today, her ice cream flavors can be found in scoop shops all over Ohio as well as stores across the country. Not surprisingly, the ice cream at Salt & Straw is made with ingredients from sustainable local farms. During summer’s berry season you can find flavors like Strawberry with Cilantro Lime Cheesecake and Goat Cheese Marionberry Habanero. Dream Cream Ice Cream in Pittsburgh not only offers unique flavors, but assists local artists and “dreamers” by letting them create their own flavors, and donating a percentage of their earnings to their chosen dream. Gray’s Ice Cream started out as a door-to-door business in Rhode Island 91 years ago, and was later sold out of the owner’s home. The shop in Tiverton was established in 1938, and to this day the ice cream is still made on site. Located at the Mount Rushmore National Memorial in South Dakota, TJ’s Ice Cream uses the first American recipe for ice cream, which was written by Thomas Jefferson. 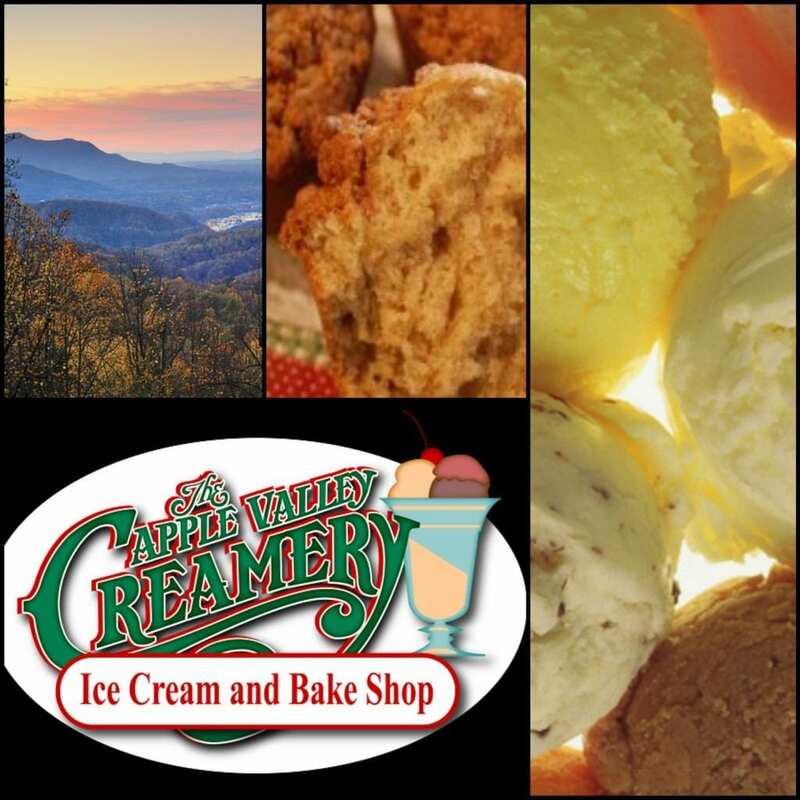 Located along the Smokey Mountains of Tennessee, The Apple Valley Creamery sells not only homemade ice cream, but also Apple Cinnamon Bread. Made with ingredients from local farms, markets, and dairies, Lick Ice Creams in Austin has become a local favorite. Here you’ll find two menus: one with everyday flavors, the other with seasonal flavors such as Honeyed Peaches with Rosemary and Strawberry Basil. Today, Ben & Jerry’s is a household name, but you can visit the factory where the brand got its start in Waterbury, Vermont. Visitors can see firsthand how the ice cream is made, and even get free ice cream on Free Cone Day. Molly Moon’s Homemade Ice Cream in Seattle not only has unique ice cream flavors like Balsamic Strawberry and Vegan Cherry Chunk, but engages in local outreach programs and practices sustainability within the shop. Ever since its doors first opened in the 1970s, Thomas Sweet in Washington, D.C. has been popular with local families and heads of state alike. Located close to the University of Wisconsin in Madison, Chocolate Shoppe Ice Cream Co. not only has traditional ice cream, but also flavors free of dairy, nuts, gluten, and additional sugar. Moo’s Gourmet Ice Cream proves there’s more to Jackson Hole than just skiing. Here you’ll find homemade, organic ice cream in flavors like Huckleberry, Belgian Chocolate, and Key Lime Pie, as well as ice cream made with locally brewed beer.